Facebook drives a fourth of overall traffic to websites, while Twitter, StumbleUpon, reddit, Google+, LinkedIn, and YouTube combine for just 2% of overall visits to sites. This is according to the latest quarterly Social Media Traffic Report from Shareaholic, which was just released. According to the report, the top eight social networks drove 31.24% of overall traffic to sites in December, compared to 22.71% the year prior. Facebook sent 24.63% of the total visits publishers received in December 2014. Facebook’s share of referrals rose 10.16%. The only other network to see an increase in its share from quarter to quarter was StumbleUpon, which saw a 21.44% increase. The news isn’t so good for websites looking to increase traffic from the rest of the bunch. In terms of year over year, only Facebook and Pinterest saw growth in social media traffic referrals, but according to the report, even Pinterest has plateaued. Pinterest is actually hard at work on that, and based on stats the company provided us with last week, it’s headed in the right direction. It’s no secret that Pinterest has historically been slanted heavily toward the female demographic, but more and more men are starting to use it. 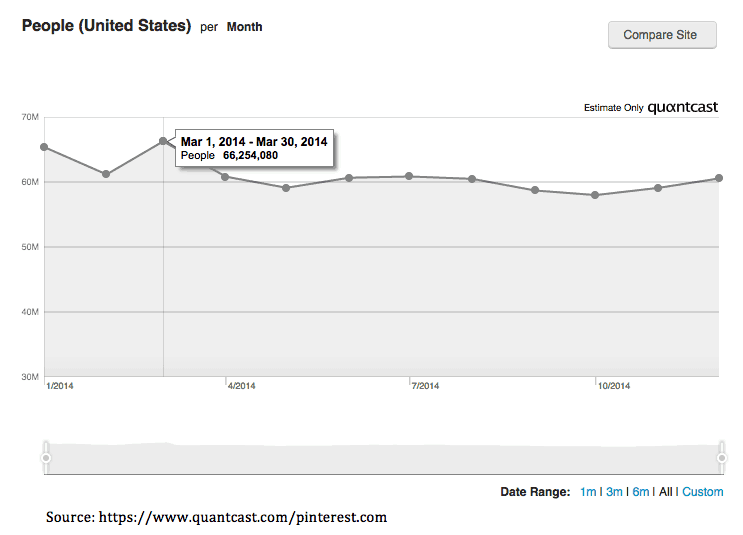 Pinterest’s male user base in the U.S. grew 73% year-over-year. The top interests followed by men include (in order): men’s apparel, technology, travel, gardening, recipes, gadgets, design, luxury cars, tattoos, and camping. Trending searches by men include: men’s short hair, cinema 4d, ham radio, cool watches for men, mens tattoo ideas, fixed gear, shoulder tattoo men, hifi, rat rod, and kayak fishing.High growth categories include: Geek, Cars and Motorcycles, Mens Fashion, Architecture, Gardening, Humor, and Health and Fitness. The company also tells us it’s growing on the coasts, where monthly active usage is much higher than in other parts of the country. New York is growing 50% faster than Minnesota, for example, and DC is growing 78% faster than Utah. The fastest growing states are Hawaii, New Jersey, Maryland, New York, and Rhode Island. Pinterest also just revealed some improvements to its Guided Search feature to better cater to gender. Based on the gender you have selected in your settings, Pinterest will show you different search results. This is seen as a way to help get and keep men more engaged with the service. That might also just help out social media referral traffic, so it will be interesting to see if there’s any noticeable change on that front in Shareaholic’s report for the current quarter. Compared to the networks ranked behind it, Pinterest is still a major traffic driver anyway. According to the report, Twitter, StumbleUpon, reddit, Google+, LinkedIn, and YouTube combined represent roughly a third of the traffic Pinterest sent to publishers in December.